Today is the birthday of John Stanton (January 16, 1832-April 23, 1917). He was born in Ireland, County Cork, but came to American as a teen. 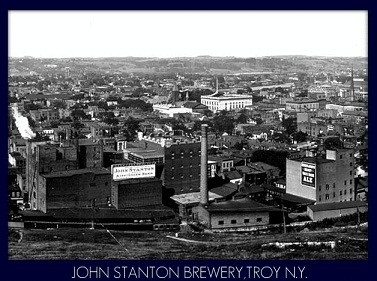 In 1866, Stanton and a partner, James Daley bought the Abraham Nash Brewery of Troy, New York, which had been founded in 1817. 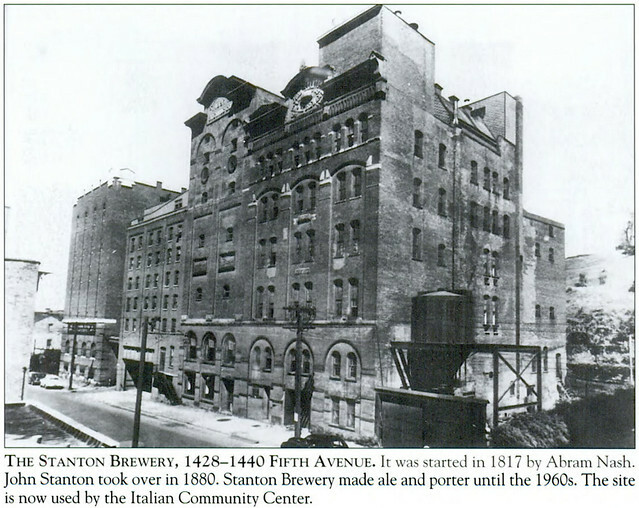 They renamed it the Daley & Stanton Brewery, but a few years later, in 1880, Stanton bought out Daley, renaming it the John Stanton Brewery, which remained its name until closed by prohibition. 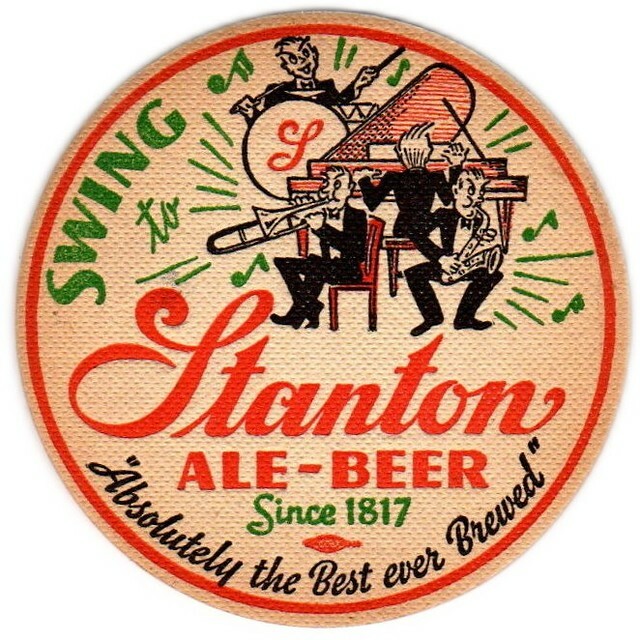 After prohibition was repealed, it reopened as The Stanton Brewery Inc., and it stayed in business until 1950, when it closed for good. 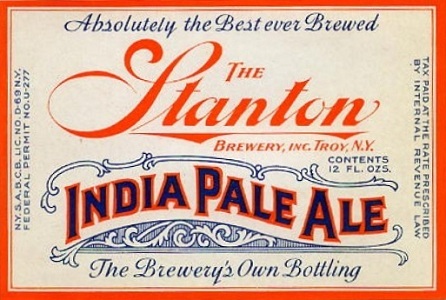 I couldn’t find a photo of Stanton, but I suspect this isn’t supposed to be him on their label. 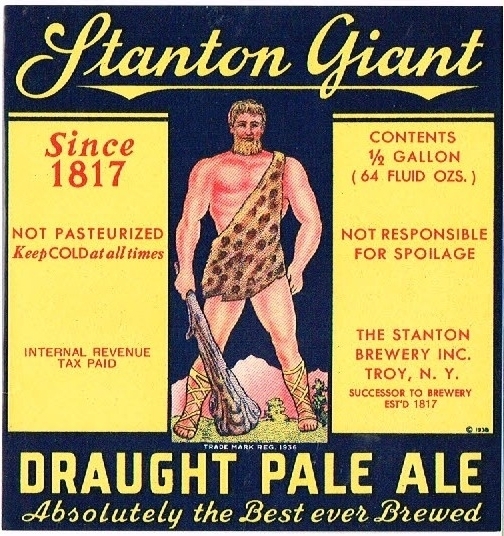 I am looking for info on my Stanton Giant bottle, Troy, NY. It is a Draught Pale Ale 1/2 gallon bottle. It has a wired on rubber stopper. I can not find a pic of the label on line. Any help?